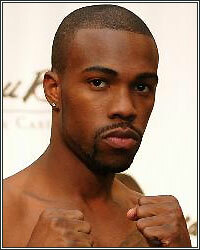 GARY RUSSELL JR: "I FEEL THERE IS NO ONE IN MY DIVISION THAT IS READY FOR ME"
"I have been boxing for so long. I've been boxing for 15 years now, believe it or not, and I'm only 23 years old (laughing). It's almost second nature. We are used to it and we are comfortable in our element. Even when knockouts occur or I beat guys by decision, you never really see my corner jump up and down or jump on the ropes or just go crazy after the fight...We go out there and do what we do and we expect to get the knockouts and we expect to be successful and get unanimous decisions over guys. We expect to come out on top every time we fight, so it's not a surprise to us and we never act surprised when we get the win or the knockout...Me and my team, we sit down and break out the drawing board and map out a blueprint of how we're going to navigate my career from this point forward. I honestly feel as though I am ready for anyone in my division; me personally, I feel there is no one in my division that is ready for me and could withstand what I could dish out, and that goes all the way to the top of the list," stated undefeated super featherweight contender Gary Russell Jr., who talked about his devastating 1st round KO of Heriberto Ruiz this past Saturday, his future plans, and much more. You don't want to miss what else he had to say. Check it out! PC: Congratulations on the spectacular knockout win over Heriberto Ruiz. How do you feel my man? GR: I feel blessed, man. My motto is I'm blessed, man, and I train hard and I pray, and that's the outcome from it (laughing). PC: I know he was a late replacement, but I'm sure you had time to break down some footage on Ruiz. What was the game plan going into the fight from what you knew about Heriberto? GR: Man, it's weird because we weren't originally supposed to fight that guy. We were supposed to fight Dat Nguyen, so we had a 6-week camp, actually a 5-1/2 week camp preparing for Dat Nguyen, who was more of a straight-forward fighter and a little bit shorter than the guy I fought. He was about my height. But we prepared for Dat Nguyen and probably a week before the fight, we got a call that Dat wasn't going to fight anymore. They was trying to find a replacement opponent and this guy was actually calling around trying to fight us. GR: Yeah, he was calling around looking for us when he heard Dat wasn't going to fight. He was calling my manager trying to get this fight with us. He felt as though...a lot of times, man, they need that last hurrah. They need that fight that's going to push them over the top and they thought that I was going to be that guy that was going to springboard him back to where he wanted to be in his career. We watched a little tape on him, a little footage, and we realized that he was a slow starter. He had 30 knockouts, so he was dangerous. Anybody with 30 knockouts is dangerous. I don't care if you knocked out 30 bums or 30 guys that are of good caliber, you're still dangerous in my eyes. We realized that he was a slow starter though. He would pick it up around the 5th or 6th round and then he would overwhelm guys with a barrage of punches. We knew he was a little slow on his feet and we knew we wanted to jump on him early and get him out of his element, and not let him get on track and get started. We knew that speed and power would play a big factor in this fight and that's what happened. PC: You are still young, but you have dealt with some early adversities in your career. Dat pulling out of the fight that late in the game was another hurdle. I'm sure you are treating all of this as experience and you are growing from it. GR: Ah man, like I said, before I turned professional, I was one of the best of the best in the amateurs. I made the 2008 Olympic Team. I dealt with the best of the best in the business. I fought them and I beat them. And in the amateur tournaments, it's not like professional where you get 4, 5 or 6 weeks to prepare for one particular guy. In the amateurs, you get maybe a month or two to prepare for a tournament. It's a selection of guys and you don't know who you are going to be fighting from day to day. You have to be prepared and be willing to adapt to whatever style gets in the ring. My amateur pedigree helped me out when it came to that situation with Dat. I had over 200 amateur fights and I fought against so many different styles. I fought against bangers, boxers, and guys that just want to run the entire fight. I fought just about every style that there is and I think that that definitely will help me out in my professional career. PC: You obviously have very fast hands, and on top of that, you are a southpaw. When spectators watch you fight, they are in awe, but I know fighters are their own toughest critics, so if there was anything you needed to work on, what would you say that is? GR: I feel I need to work on my inside game a little more. I'm developing it wonderfully. I know a lot of times when I fight a guy, I'm so fast, they can't deal with my speed from the outside. Any smart coach will tell their fighter to smother my speed and get close to me; get close and make him fight at a slower speed and then see how it goes from there. We are definitely a few steps ahead of anyone we compete against; we definitely working on our inside game and being comfortable, not only on the outside, but the inside as well. I don't ever want to feel as though I'm ever in an uncomfortable position, no matter which way or which style I have to fight. I want to be able to adapt and be 100% comfortable. We are definitely working on that. PC: The HBO commentators love what they see in you and you are the hot guy in boxing right now. Floyd Mayweather and Andre Berto were in attendance for your fight. Does all of this add pressure on you or is it, like you said, that amateur pedigree prepared you for all of this? GR: With my pedigree, I'm used to it. Me and Andre Berto are really close friends. A lot of people probably don't know it. We still talk on the phone from time to time. We came up together in the amateurs. He turned pro right after the '04 Games. We all came up in the same tournament together; me and Andre Berto in the Silver Gloves and Golden Gloves. We all came up together, so it was cool to have him come out and support me. He called me before the fight and was like, "I'm going to come out and watch you fight, man. I'm gonna come watch you do your thing." So it was cool, man, because it felt like old times; felt like we were back in the amateurs again supporting each other. PC: With a lot of young fighters, you get a chaotic corner sometimes. Everything seems to be calm, cool and collected in your corner. Is that due to the chemistry between you and your trainer? GR: Oh yeah, most definitely, man. I have been boxing for so long. I've been boxing for 15 years now, believe it or not, and I'm only 23 years old (laughing). It's almost second nature. We are used to it and we are comfortable in our element. Even when knockouts occur or I beat guys by decision, you never really see my corner jump up and down or jump on the ropes or just go crazy after the fight. If you ever really watch, my corner is still pretty calm after the fight. We'll smile and dap each other up, but that's about it. As far as jumping up and down, running across the ring, or jumping up on the ropes and stuff like that, that has never been our m.o. We go out there and do what we do and we expect to get the knockouts and we expect to be successful and get unanimous decisions over guys. We expect to come out on top every time we fight, so it's not a surprise to us and we never act surprised when we get the win or the knockout, so. PC: I get guys hitting me up all of the time saying you would beat Gamboa, Lopez, and all of these guys. I think your performances make a lot of people forget how young you are in your career. What is the next logical step, as far as caliber of opponent, that you would like to face next? GR: That's a question that I honestly can't answer on my own. Me and my team, we sit down and break out the drawing board and map out a blueprint of how we're going to navigate my career from this point forward. I honestly feel as though I am ready for anyone in my division; me personally, I feel there is no one in my division that is ready for me and could withstand what I could dish out, and that goes all the way to the top of the list. PC: And you suffered no damage in the fight. You said it's back to training on Monday, so are you expecting an early 2012 return? GR: I put a little clip on Facebook yesterday. I'm always right back in the gym. After every fight, I say I'm back in the gym on Monday. It's so true, man. I was back on the gym on Monday. I have 5 brothers and 3 of them box. I fought Saturday, came home Sunday, and Monday, we all went jogging at this place my dad introduced us to. When he used to box, he used to jog there. We went jogging there on Monday. We made the video on Monday and I was just telling everybody that I fought on Saturday, scored a 1st round knockout, and I came home on Sunday and ate a little bit of leftover Thanksgiving food, and now I'm back on my grind today, which was Monday. I was back jogging and back training. I can't take off because I feel as though when I take off, no one else is, so for me to stay on top, I can't take off. But yeah, we wanna come back soon in 2012. We probably done for the rest of the year, but we definitely wanna come back in 2012 and create fireworks. PC: Keep up the hard work outside of the ring and the spectacular performances inside of the ring. I wish you the best of luck in 2012 and I hope to have you on FightHype often my man. GR: Man, I'm gonna try my best, man. All I can do is stay prayed up, man. I appreciate it, man.